Raise money for your charity with your own unique hand made fundraiser bags! Why not do as other charities have done and use our natural fibre jute bags as a fundraiser to make fundraising bags for your charity? 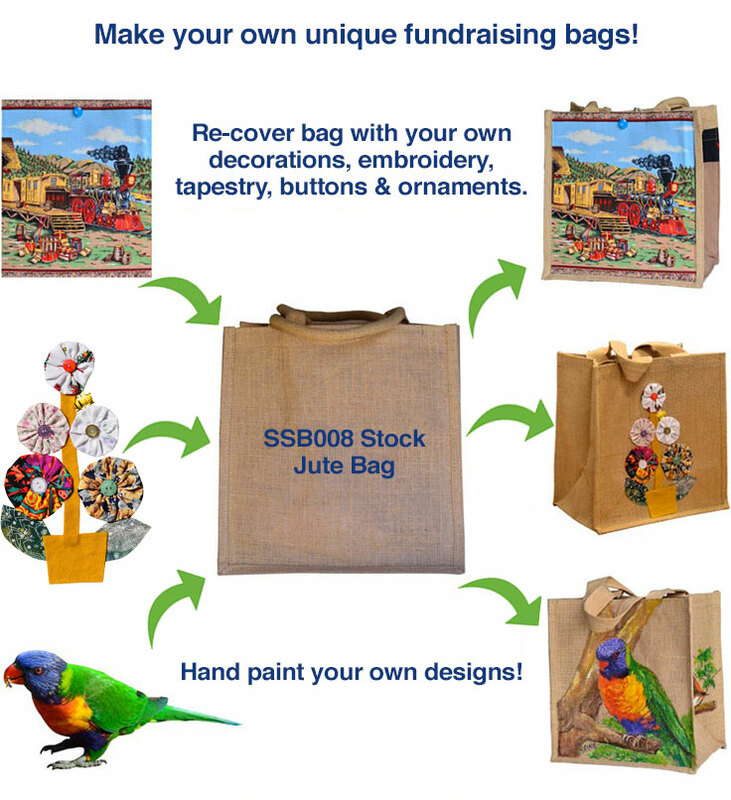 While the Illawarra Cancer Carers utilise many means of raising money, one popular means is the use of our stock SSB008 jute bag which they re-cover with their various skills to produce a range of unique and very attractive fundraising bags. To raise money for your charity simply purchase our stock jute bag and add your own unique design. Check below to see some examples of the amazing fundraising bag designs done by dedicated charity workers and fundraisers.